You know you’re not living in the city anymore when your daughter comes home and tells you about how one of her peers rode over a rabbit in bike ed today and the teacher had to break its neck to put it out of its misery. To be fair to the rabbit, its demise probably wasn’t just due to its failure to take proper care when crossing the bike path; it may very well have been paying very careful attention the day its mother reminded all seventy-three of her kids to look both ways before hopping onto a carriageway. No, I’m tipping it was feeling pretty ordinary before Ingrid’s tyre tracks were imprinted on its tummy. Rabbits and foxes are the devil’s spawn here on The Rock. Feral cats follow a close third. Never should they be viewed as cute furry friends, for they are evil environment destroying wrong-doers. I’m starting to become accustomed to that thinking. A little bit. The rangers routinely bait sections of the foreshore, and last week three very very unhoppy bleary-eyed bunnies wobbled across my path in the area where the kids were riding. I understand the science behind it, and I tried to see it as a positive step forward for the native flora and fauna, but the sight of wonky poisoned little fluffy things still makes me feel a bit queasy and uncomfortable. I blame Thomas Austin Esquire for the whole uncomfortable situation. That dim-witted aristocrat with an over-inflated sense of entitlement has a great deal to answer for. Back in October of 1861, the numb-knuckle proudly imported twenty-four wild English rabbits with the wish that they would breed on his 29,000-acre property just outside of Melbourne so that he and his starch-collared associates could enjoy a spot of hunting. Didn’t need a genie to make that wish come true. Before long he was bragging that there were thousands of the blighters for his shooting pleasure. Doofus. Mr A was an esteemed paid-up life member of the incongruously named Acclimatisation Society. These knobs imported — amongst other things — sparrows, blackbirds, hares, thrushes, partridges, foxes and pheasants. They did this for the joint purposes of making Australia feel more like their homeland… and killing them for fun. WTF? And what do you imagine they thought they were acclimatising? British animals? Native flora and fauna? The whole of Australia? Anyway, if Thomas and his stuffed-shirt mates hadn’t had more money than sense, I wouldn’t have to feel bad about wobbly bunnies and Ingrid wouldn’t have run over one of those said wobbly bunnies and Mr P wouldn’t have had to break its neck to put it out of its misery. Acclimatisation Society be damned. Seriously, these things are so stoopid that one walked into the tennis court through one of the two open gates and then ran up and down the length of the court in a frenzy for a full five minutes trying to work out how to get out again before it remembered it had wings. 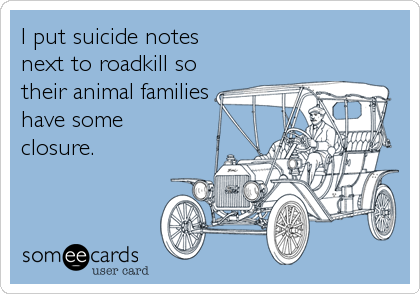 Native roadkill still hurts my heart, though. Without foxes, our wallabies and possums have no predators. Except cars. The rangers claim there is probably only one fox left on the island. Apparently females are too cautious to cross the bridge, so it’s likely to be one rogue male who may even cross back over to his harem on the mainland after he’s had a feed. But we know there are none around us, because poor unfortunates such as this fellow lie untouched wherever they have expired until they are reduced to sunbleached bones. Once they would have been dragged off as soon as night fell. Feral animal abundance is a negative aspect of gun control. You used to be able to run your own "de-feral" campaign with a 22 rifle. Quick, merciful and rural. Guns are for terrorists though, as we all know in our "indoctrine-nation". lol about the bird in the tennis court forgetting it had wings...thanks for that. 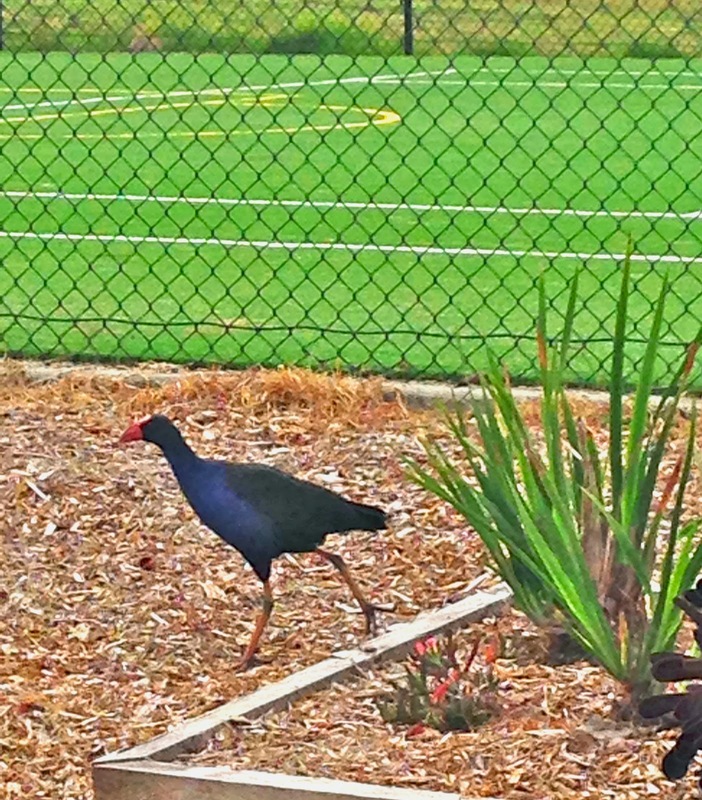 I love that purple swamp hen, so pretty. Poor wobbly bunnies though, that is not so nice although I understand why.